The station is a single storey building that has 3x appliance bays and a 50ft 4 storey brick built tower. The building itself has many different rooms within which contain offices, a welfare/community room, kitchen, locker rooms, kit rooms, stores, watch room, hose repair room, BA maintenance room and male/female changing/WCs. 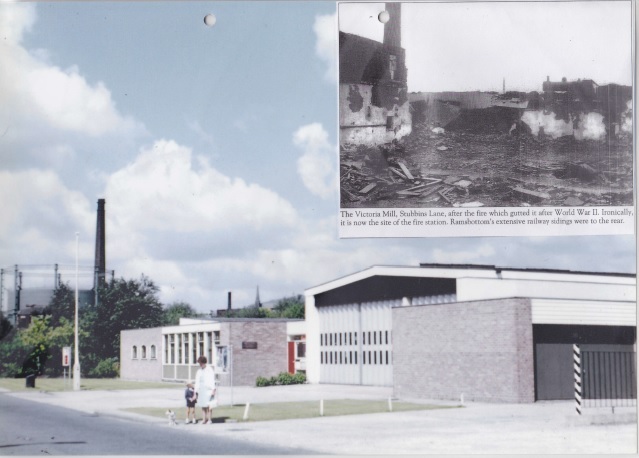 The fire station site was originally a large cotton mill called Victoria Mill owned the Victoria Cotton Mill Company Limited and housed 486 looms, the mill was destroyed by fire in 1945 later to become the site of the fire station and houses. The new fire station at Ramsbottom replaces the old fire station in Stubbins Lane which had housed the fire brigade since the outbreak of the second world war. It has long been realized that the old premises were unsuitable and inadequate for present day needs and the site for the new fire station was acquired in 1962. The station has a complement of two appliances, a Water Tender Escape and a Water Tender. There is a whole time establishment of 17 men who operate the two shift duty system of 72 hours a week and there are 12 retained firemen who are available on call from their homes or their work. The premises are of single storey construction comprising three bay appliance room, watch room, plant room, offices and workshop, hose repair room, breathing apparatus maintenance room, drying room, dormitories, lecture room, recreation and dining accommodation. Hose drying and drill facilities are combined in the hose tower. The drill section of the tower has four drill floors and is designed for training and practice with extension ladders, secapes and hook ladders. Hose drying is achieved by means of a horizontally mounted propeller fan at the top of the tower which draws the air upwards around the hose hanging in the tower. Accommodation is also provided for an appliance to be used by members of the Auxiliary Fire Service. Stubbins Lane Fire Station was opened at 7.30pm on Wednesday 9th October 1963 by Councilior R. Hayhurst. In attendance was Sir Fred Bates Chairman of the County Council, J Martin Chairman of the Fire Brigade Committee, CPH McCall Clerk of the County Council, AF Bowles Chief Fire Officer and R Booth County Architect. Also in 1963 there were 9 houses completed for the on duty firefighters and their families. These are located with 3 being on the same side as the fire station and 6 on the opposite side a bit further down. These house are 3 bedroom houses complete with upstairs bathroom, living room, dining room, 2x utility rooms and a down stairs WC. Each house also has its own garage. 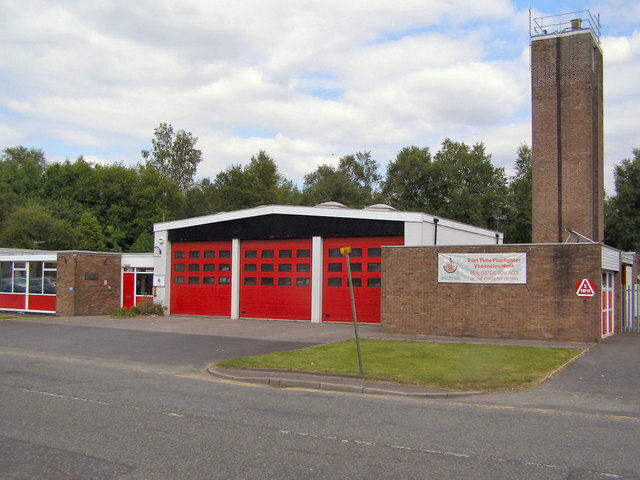 The station was originally under the control by Lancashire County Fire Brigade but due to the creation of Greater Manchester in 1974 transferred to Greater Manchester County Fire Service. The station originally was also equipped with a garage and at one time also boasted its own bar! There are currently 14 Day Crewed firefighters who are on the station by day and are on call from their homes via an alerter during the night. The firefighters are on a two watch system these being red and blue watch system. These man the first appliance as well as DIM Unit Vehicle. As well as whole time firefighters there are also around 12 retained firefighters that man the second appliance. Retained Firefighters often have another regular occupation and are mobilised using pagers, providing their employer authorises their absence, or provide cover that does not impact on their main job i.e. evenings and weekends dependent on their regular working hours.